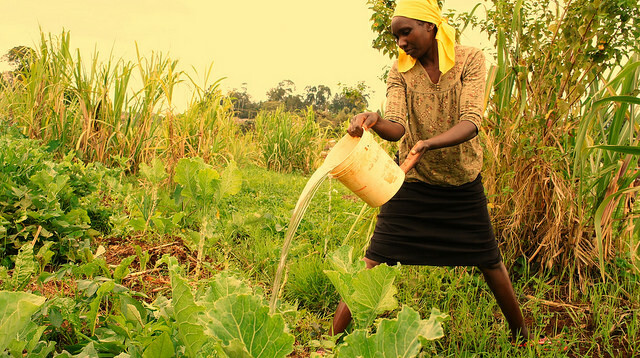 Vegetables grown in the lush soil of this quiet agricultural community in central Kenya's fertile wetlands not only feed the farmers who tend the crops, but also make their way into the marketplaces of Nairobi, the country's capital, some 150 km south. 3Spinach, carrots, kale, cabbages, tomatoes, maize, legumes and tubers are plentiful here in the village of Ngangarithi, a landscape awash in green, intersected by clean, clear streams that local children play in. Ramadhan Njoroge, a resident of Ngangarithi village, told IPS that his community's worst fears came to life this past January, when several smallholder families "awoke to find markers demarcating land that we had neither sold nor had intentions to sell." "We cannot have people coming here and driving us off our land," another resident named Paul Njogu told IPS. "We will show others that they too can refuse to be shoved aside by powerful forces." "I was given this land by my grandmother some 20 years ago," he added. "This is my ancestral home and it is also my source of livelihood – by growing crops, we are protecting our heritage, ensuring food security, and creating jobs." But Kenya's real estate market, which has witnessed a massive boom in the last seven years, has proven that it is above such sentiments. The World Bank praised the country for conducting the exercise, adding in a press release last year, "The size of the economy is 25 percent larger than previously thought, and Kenya is now the fifth largest economy in sub-Saharan Africa behind Nigeria, South Africa, Angola and Sudan." According to the Bank, "Economic growth during 2013 was revised upwards from 4.7 percent to 5.7 percent gross domestic product (GDP) per capita changed overnight, literally, from 994 dollars to 1,256 dollars." David Owiro, programme officer at the Institute of Economic Affairs (IEA), a local think tank, told IPS, "Kenya's land and property market is growing exponentially." While the land rush and real estate boom fit Kenya's newfound image as an economic success story, they run directly counter to the United Nations' new set of Sustainable Development Goals (SDGs), due to be finalised in September. The attempt to seize farmers' land in Ngangarithi village reveals, in microcosm, the pitfalls of a development model that is based on valuing the profits of a few over the wellbeing of many. Farmers who have lived here for generations not only grow enough food to sustain their families, they also feed the entire community, and comprise a vital link in the nation's food supply chain. 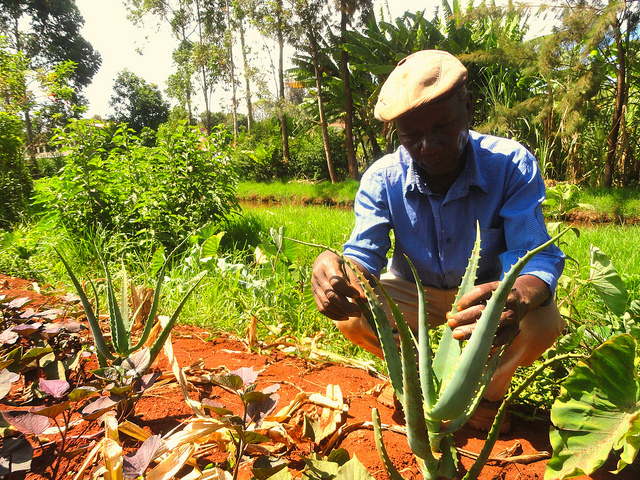 Taking away their land, they say, will have far-reaching consequences: central Kenya is considered one of the country's two breadbaskets – the other being the Rift Valley – largely for its ability to produce plentiful maize harvests. Furthermore, encroachment by real estate developers into Kenya's wetlands flies in the face of sustainable development, given that the U.N. Environment Programme (UNEP) has identified Kenya's wetlands as ‘vital' to its agriculture and tourism sectors, and has urged the country to protect these areas, rich in biodiversity, as part of its international conservation obligations. He recounted how his grandmother would go out to work on these very farmlands, decades ago: "Even with her back bent, her head almost touching her knees, she did all this for us," he explained. "When she became too old to farm, she divided her land and gave it to us. What if she had sold it to outsiders? What would be the source of our livelihood? We would have nowhere to call home," he added. 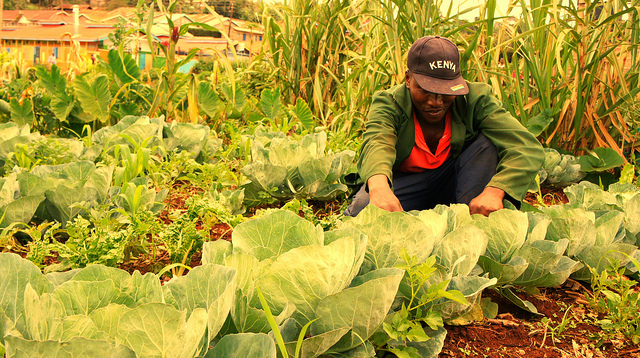 "On our side you will see it is all green: spinach, kale, carrots, everything grows here," Njogu said. "But the land overlooking ours is now a town." Various other villagers echoed these sentiments, articulating a vision of sustainability that the government does not seem to share. Some told IPS that the developers had attempted to cordon off a stream that the village relied on for fresh water, and that children played in every single day, "interacting with nature in its purest form," as one farmer described. "I am not fighting for myself but for my children," Njogu clarified. "I am 85 years old, I have lived my life, but my great-grandchildren need a place to call home." Villagers' determination to resist developers has caught the attention of experts closer to the policy-making nucleus in Nairobi, many of whom are adding their voices to a growing debate on the meaning of sustainability. "But a community being able to meet its needs of today, without compromising the ability of its children to meet their own needs tomorrow, is sustainable development," he asserted. According to Subbo, when a community understands that they can "resist and set the development agenda, they are already in the ‘future' – because they have shown us that there is an alternative way of doing business." "Land is a finite resource," Subbo concluded. "We cannot turn all of it into skyscrapers."